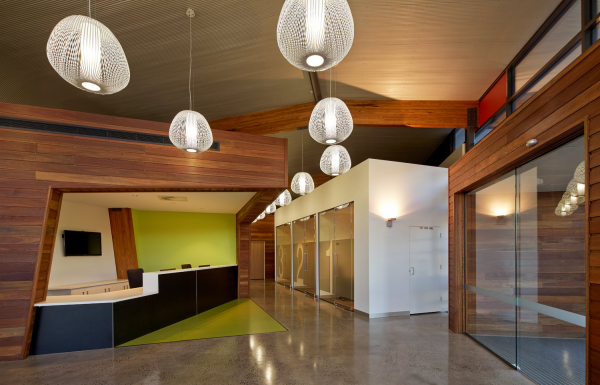 Hindmarsh Shire Council Offices is a technologically advanced, sustainably focused new Civic and Administration Centre located in the rural setting of Nhill, Victoria. 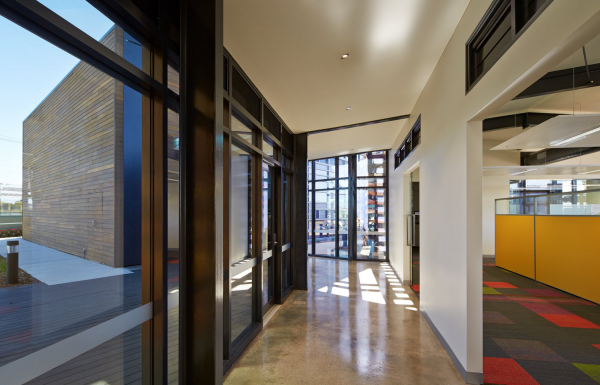 The precinct re-uses the existing 1960’s building and encapsulates it within its new contemporary built form. Although double the size of the building it replaces, the facility uses 60 per cent less electricity. 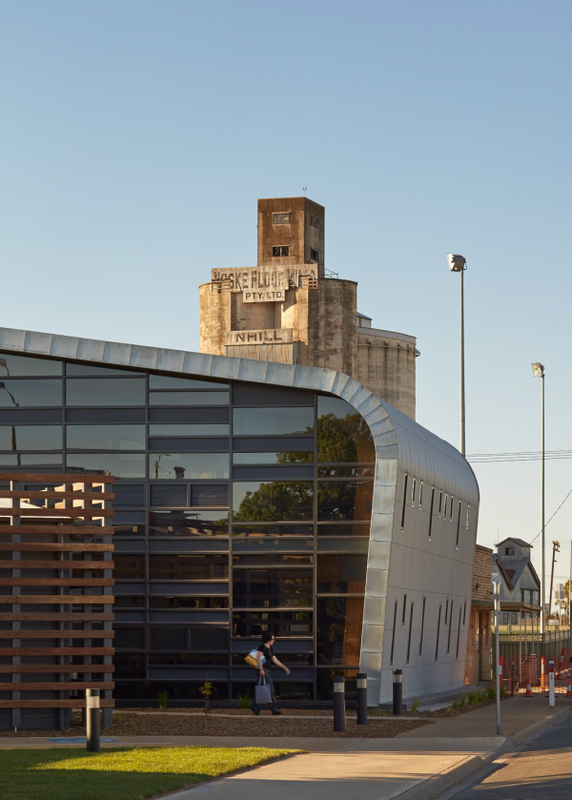 The building was inspired by the town’s identity as a hub of wheat production with steel storage silos and agricultural sheds dotting the landscape. 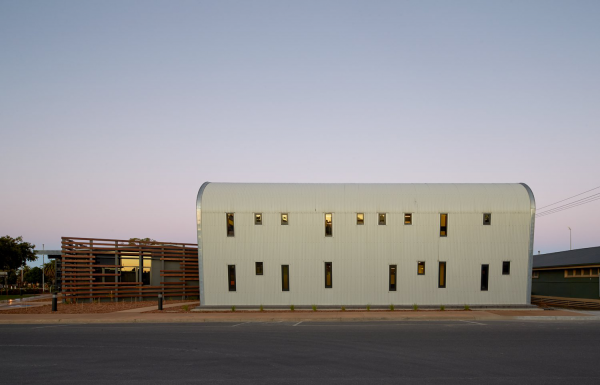 The new centre’s form and restrained material palette of timber, steel and glass gives subtle references to the local agricultural context; utilising the craftsmanship of the folded metal inherent in the silos in the form of locally sourced steel and zinc finishes along the building’s exterior. 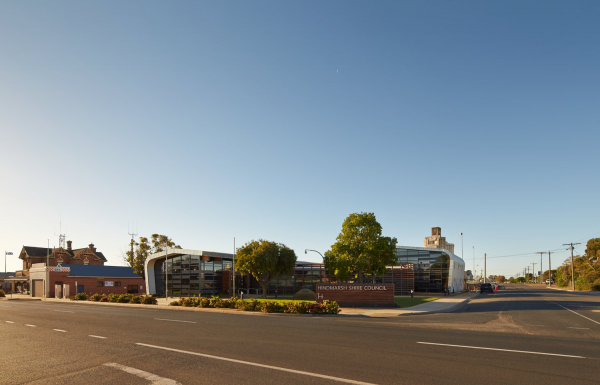 The project is the development of Hindmarsh Shire Council’s new corporate offices and Civic Centre, accommodating 70 staff with expansion capability for up to 100. 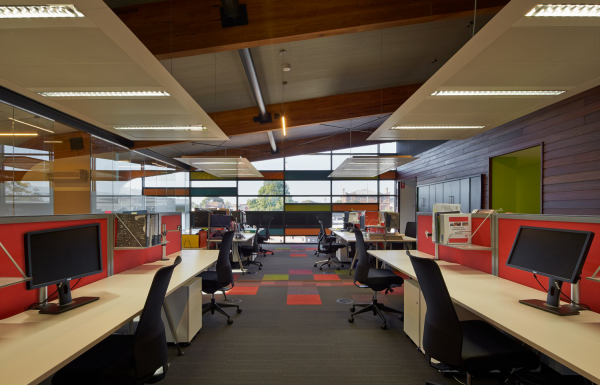 The facility incorporates activity based workplace design and provides a level of environmental comfort and finish which enables employees to work in a climate of professionalism more than equal to that found in a capital city. With a 5- hour drive to the nearest capital city, the remote rural setting and harsh climatic conditions were intrinsically linked to the design as well as the development of sustainable design innovations. With ESD principles at the core of the building’s design intent, k20 Architecture utilised a number of innovations to deliver an outcome that would not only minimise embodied energy and energy loadings within the building, but also reduce carbon output for the life of the project and provide an enhanced internal environment for its inhabitants. The starting point of the design was to assess the quality and potential of the existing buildings on the site. These consisted of several buildings in poor condition and not suitable for reuse, including some portable buildings, and the council meeting room. However, one component, a single-storey structure with concrete footings, concrete slab, a clear-span steel portal frame roof and brick walls, had potential to be reused. A survey indicated that the building was technically suitable for reuse, and the architects assessed that its form could accommodate the office program. 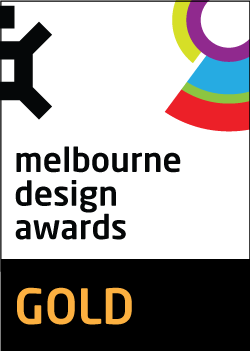 k20 Architecture sought to create an environmentally, economically and culturally sustainable project. 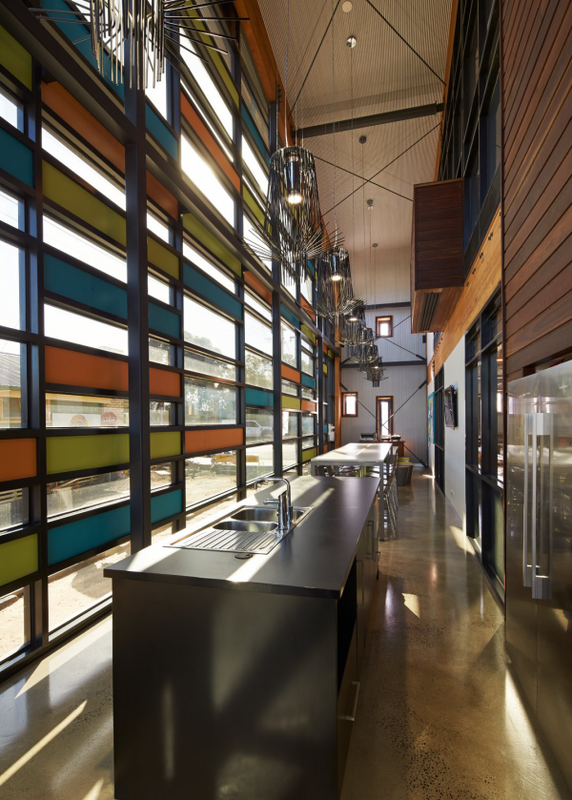 The project illustrates how a decision to retain parts of an old building can inspire a unique design solution as well as opening up opportunities for additional features to be included which would not be affordable otherwise. Conscious of the building’s location in a region which is exposed to extreme temperature conditions, k20 Architecture paid much attention to the building’s thermal performance. By constructing a series of thermal chambers underground via earth tubes and under-floor ventilation plenums, fresh air is drawn in from the exterior and cooled (or warmed) naturally by the earth before being redistributed back throughout the building via plenums and air displacement floor grilles. 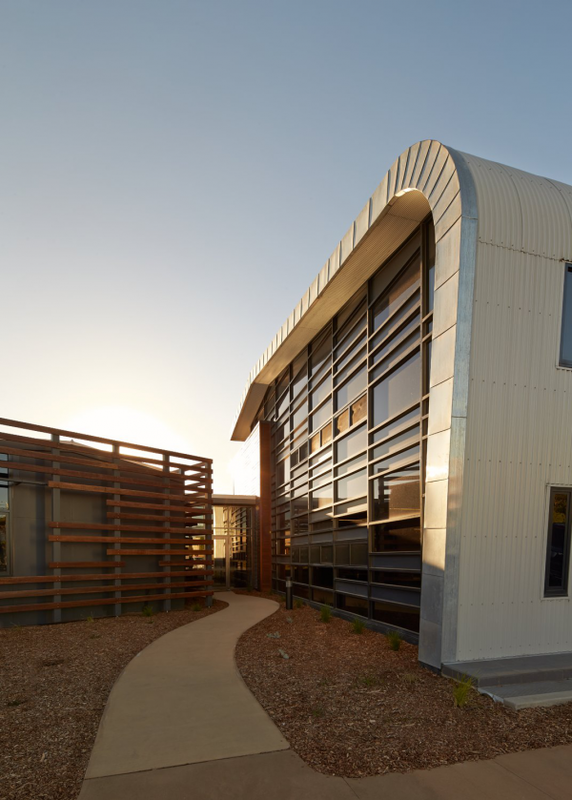 The Hindmarsh approach pre-tempers the air via an earth pipe heat exchange system before it is introduced into the habitable areas of the building, thus greatly reducing the energy required to heat or cool the air once inside the space. 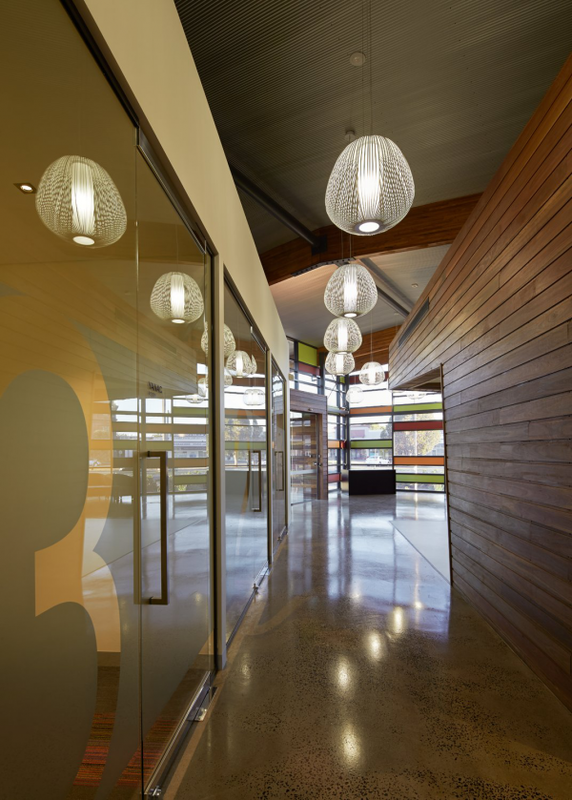 Other sustainable features include LED lighting systems throughout; solar panels; recycling of over 80 per cent of the existing building’s materials; sustainably sourced laminated timber beams; zoned mechanical system; passive solar design, cross-flow ventilation and zoned motion-detection lighting.